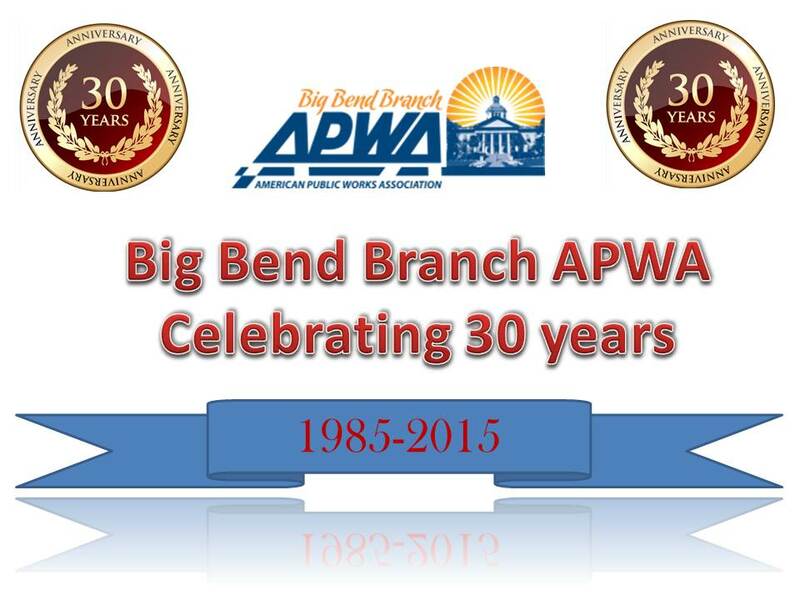 Welcome to the Big Bend Branch of American Public Works Association (APWA). Our Big Bend Branch Chapter is an organization of more than 100 members dedicated to the promotion and understanding of Public Works services and professions in a nine county area, across the eastern panhandle of Florida (Franklin, Gadsden, Hamilton, Jefferson, Leon, Liberty, Madison, Taylor, and Wakulla Counties). Every day, APWA members work diligently to ensure the safety and convenience we enjoy and take it for granted in our daily lives. Collectively, we are responsible for the development and providing of safe drinking water, wastewater treatment, trash collection, natural gas, and electric utilities; roadway networks; stormwater runoff treatment and flood control; public lands, parks, and community centers; animal control; and many other important services that keep our communities up and running. We have many exciting activities planned for this year including our annual Road-E-O, Awards Banquet, and monthly lunch meetings. Please take the time to explore our website to learn more about us and the coming activities we have planned. Hopefully you will join us for future events as a member, sponsor, or community supporter. If you cannot find the information you need on our website or you need assistance , go to our “Contact Us” page and call one of the executives.